Last show of the year! Risky Liver and Joy Mills Band will play at Molly Maguire's Saturday, Dec 22 from 9:30-12:30...that means you should come by and say hi! The Holiday Ham Jam at the Copper Gate was really fun, thanks to the usual crew and also Alana, Jack and Sarah for bringing extra zing to the evening. Risky Liver re-returns! Happy to be out there again on Saturday, July 30th at Conor Byrne, along with Triple Chicken Foot and the Tallboys. We'll be playing some new oldies and old newies. Risky Liver returns! It's Willie Nelson night at Conor Byrne on Sat, April 28th. Another one-off! 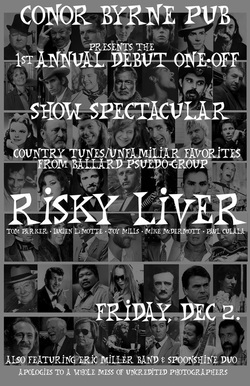 We just had *The 1st annual, debut, one-off special engagement with Risky Liver, a side project I'm in with Tom Parker, Mike McDermott, Lucien La Motte and Paul Culala. 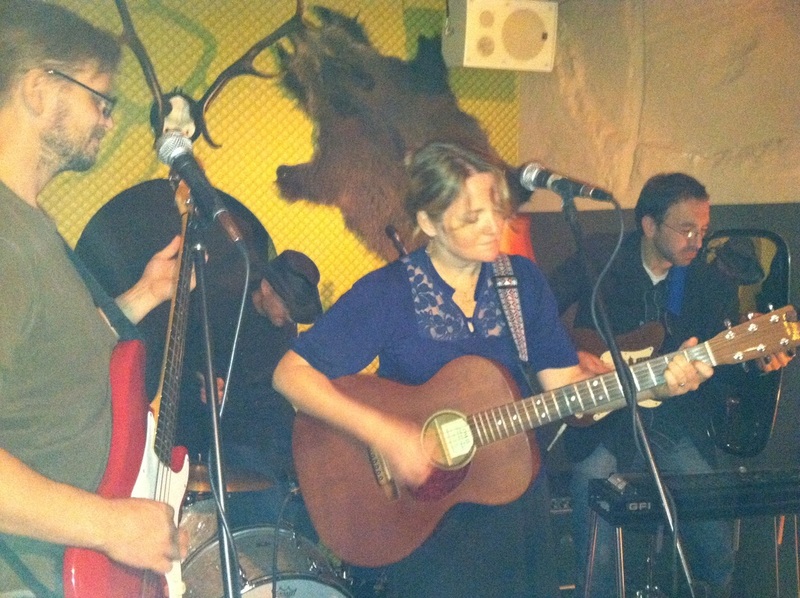 It was great fun, playing some favorite songs from classic country to modern roots. Next show is Friday, 1/6/12!